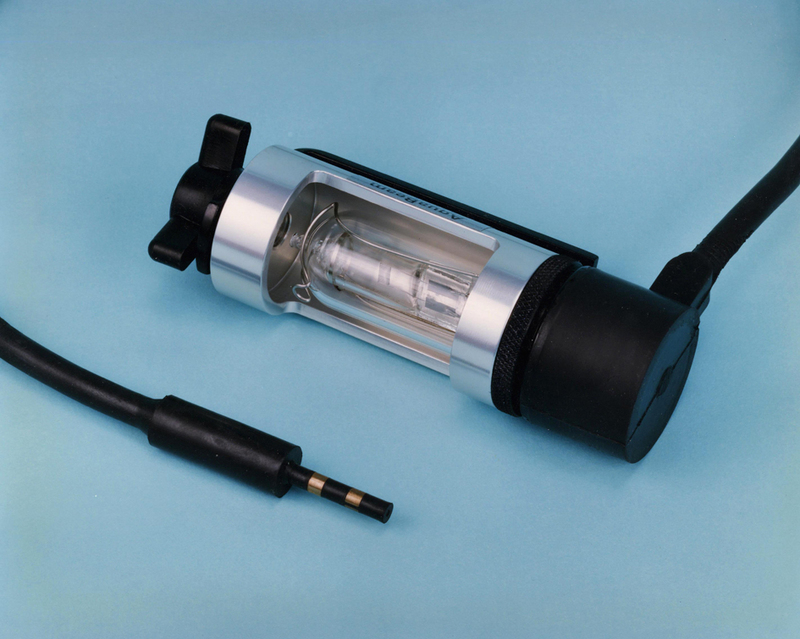 The Aquabeam Minilux is a light source for high sensitivity underwater television cameras. Weighing only a few ounces the Minilux is capable of depths greater than 10,000 feet of seawater and is well suited to 'eyeball' remotely operated vehicle (ROV) applications. Designed around the Aquabeam range of tungsten halogen lamps, the Minilux is free flooding and allows easy lamp replacement without the need for tools or the breaking of seals. WARNING: The Minilux lamp holder will suffer damage if lamps with over 20 watts power rating are burned in air for more than a few seconds.